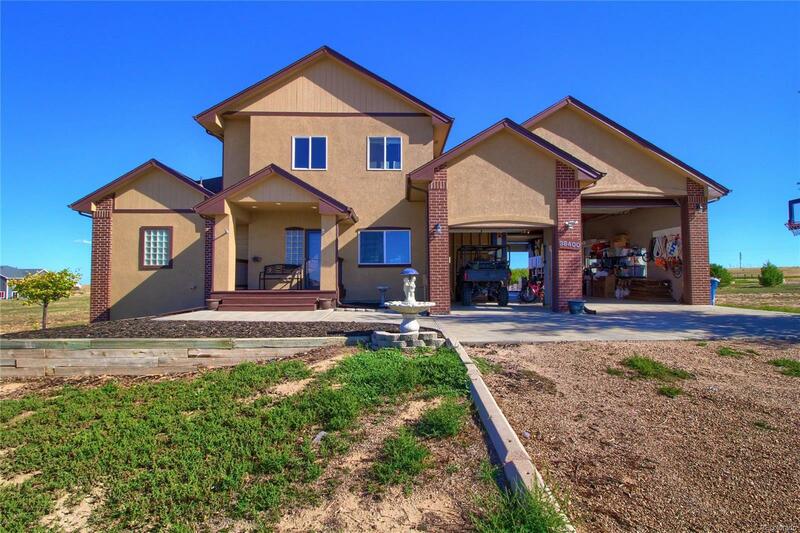 Gorgeous Semi-Custom 2 Story Home w 6 Bedrooms and 3.5 Baths Situated on 3 Acres w a Finished Walk-out Basement. Updated Featuring a Great Room w Cathedral Ceilings, Gleaming Wood Floors, Cozy Fireplace, Dry Bar & Access to Large Deck. Gourmet Kitchen Boasts Slab Granite, Large Island w Bar Seating, SS Appliances. Lower Level offers a Family Room w Access to Backyard & a Bonus Room. Main Level has a Master w Fireplace, Walk-in Closet & Luxurious 5-Piece Master Bath, an Office and a Powder Room. Upstairs is a Loft and 2 Secondary Bedrooms along with a Full Bath. The other 3 Bedrooms are in the Basement along w a 3/4 Bath/Laundry Room. Great Mud Room w Lots of Cabinet Space. Nicely Upgraded & Low Energy Costs w Efficient Heat Pump providing Precise Heating, Cooling, Humidity control, Energy Star qualifier. Huge 2 Sided Dry Walled Drive through Garage is Ideal for Large Rec Vehicle w Over-sized Doors in Front & Back. Enjoy the Outdoor Pool & Built-in Volleyball Net. See 3-D Virtual Tour.